13 Feb 2019 / 10:52 H.
RENOWNED Japanese violinist Akiko Suwanai (pix) returns to Dewan Filharmonik Petronas (DFP) after a 11-year absence, in a collaboration between the Malaysian Philharmonic Orchestra (MPO) and the Embassy of Japan. The concert, themed The Romantic Violin, has Suwanai performing two violin works: Brahms’ Violin Concerto in D and Sarasate’s Ziguenerweisen (’Gypsy Airs’, in Hungarian), while the MPO, led by Alexander Briger, will present Mozart’s Overture to Cosi Fan Tutte and Haydn’s Symphony No.104 in D (nicknamed ‘London’). Suwanai was the youngest winner of the International Tchaikovsky Competition in 1990, and has worked with luminaries such as Vladimir Ashkenazy, Sir Andrew Davis and Seiji Ozawa. She has also performed with prominent orchestras such as The Philadelphia Orchestra, Danish National Symphony, and Hong Kong Philharmonic. Suwanai is also widely recognised for her masterful interpretations of lesser-performed works as well as her passion for new music. 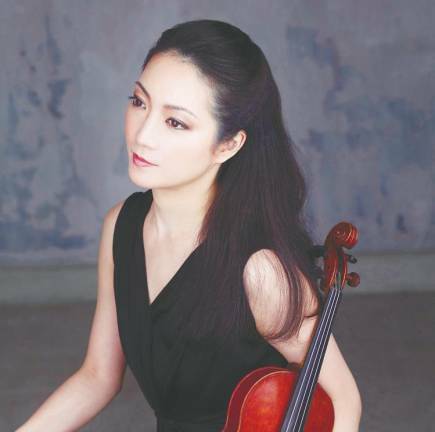 An artistic director of the International Music Festival Nippon, she has garnered awards at the International Paganini and Queen Elisabeth Competitions. For more, call 03-23317007 or log on to www.mpo.com.my.